Zancudo Beach covered with coconuts. 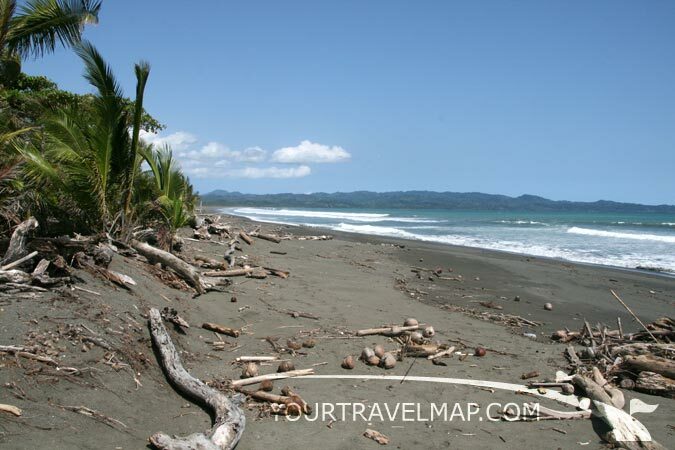 The sand beach of Zancudo Beachis covered with coconuts and is a good place for swimming and sun bathing. At the southern end of the beach the conditions are excellent for surfing. From the dark beach one has a good view of the Osa Peninsula that lays across the bay. Rio Coto and its wildlife can be explored by canoe or kayak. Birds, Crocodiles, Monkeys live along the river. A breathtaking beach where you can enjoy long walks. The journey to Zancudo Beach can be made by car or by boat from Golfito. 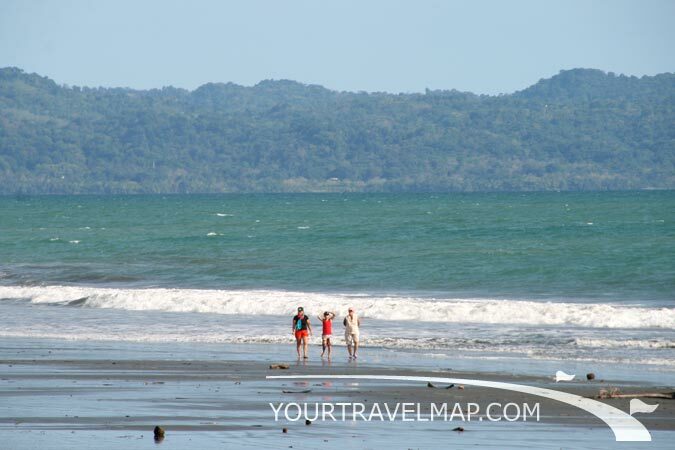 Puerto Jimenez on the Osa Peninsula can be reached by boat from Playa Zancudo. The fishing grounds near the village are considered one of the best worldwide for sportfishing. Several world records in fishing have been broken here. 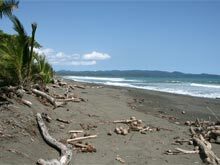 Zancudo Beach is located in the province of Puntarenas. Distance from San Jose to Zancudo Beach: 391.8 kilometers respectively 243.3 miles. Travel time from San Jose to Zancudo Beach: 7.50 hours. Distance from Liberia to Zancudo Beach: 473.9 kilometers respectively 294.4 miles. Travel time from Liberia to Zancudo Beach: 9.18 hours. There is a wide range of accommodations available in Zancudo Beach. Most of the visitors are either here for sportfishing of for surfing. 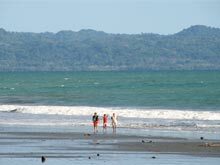 But Zancudo Beach is as well a good destination for vacations with children, because the ocean is appropriate for swimming here.